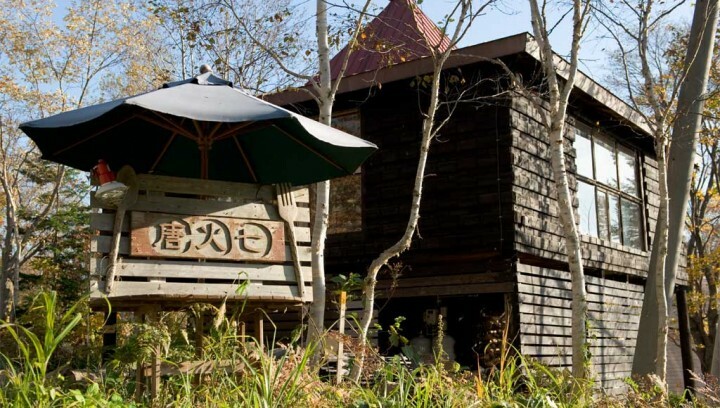 Niseko is spoilt for choice when it comes to great food so this is by no means a comprehensive list but just some of our favourites chosen for their proximity to Tanuki Lodge. Like many local eateries Okonomiyaki Jyuu is the ground floor of a local house. For those who don’t know, okonomiyaki is a tasty japanese potato pancakes and here they are prepared expertly by Jyuu and his wife, then served on the hotplate at you table for you to divide and conquer. Cheap, very good and very close to Tanuki, it’s a winter favourite. Our recommendation? Try the negiyaki. How to get there? Located at the corner of Route 66 and 343. Nestled in what looks like a private residence this cozy little place serves uncomplicated but tasty food and makes for a great warm place for a tipple in cold weather. With a menu featuring local produce the food at Izakaya Karabina differs somewhat to the usual izakaya fare and seasonal dishes are a feature. Run by a gracious husband and wife Tsutsura Rai-san and Midori-san, and holding a maximum of 12, this set-menu restaurant is simply superb. 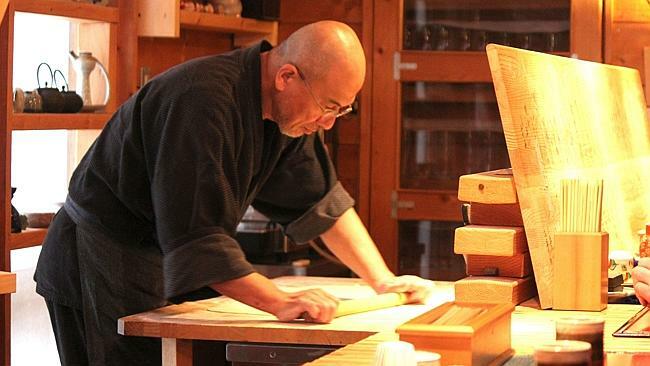 Their simple, delicate and exquisitely tasty authentic Japanese courses are all handmade and as fresh as can be. The highlight (there were many) was Tsutsura Rai-san taking local Soba flour mixed with local Annupuri spring water and handmaking what some call the best soba noodles in Japan. We agree, and the homemade tempura and wasabi are exceptional. Clearly, Rakuichi, is a must-do. This place even recieved a more than favourable review in Anthony Bourdain’s show “No Reservations”. Dinner is only available by booking (at least a day in advance to be polite,TEL:0136-58-3170) and given Tsutsura Rai-san and his wife Midori-san have limited english it may be worth asking a japanese speaker to book for you if you can. How to get there? On the corner of route 66 and the Annupuri turnoff. Second driveway on your right, just below Karabina. Look for the wooden catwalk to the far house.